Land Rover India has announced a digital and social network campaign called the 'Never stop discovering' to raise awareness on wildlife conservation. This follows a social network campaign 'Discovery with a purpose' which was initiated in February 2018 in the Land Rover Discovery covered 1200kms across the forests of Assam and Arunachal Pradesh, to conserve India's endangered wildlife. Rohit Suri, President and Managing Director, Jaguar Land Rover India Ltd (JLRIL), said, "Our Discovery family, with class-leading versatility and capability, is a great enabler for the curious minds, for those who want to get out there and explore more and share these explorations and new experiences with their family and friends. Through the 'Never Stop Discovering' campaign, we want to reach out and connect with all such people and inspire them with purposeful stories." 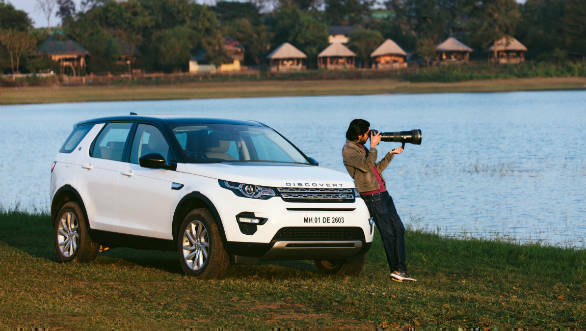 The 'Never Stop Discovering' campaign focusses on stories of journeys in the Land Rover Discovery Sport to Nagarhole National Park to showcase initiatives in the field of eco-tourism, which is contributing to wildlife conservation in India. In and around the Tadoba Andhari Tiger Reserve, the films feature big cat specialist, wildlife photographer and cinematographer Shaaz Jung for the Indian Leopard and the Black Panther, Aly Rashid for the Sloth Bear in Satpura National Park, and Harshawardhan and Poonam Dhanwatey for the Bengal Tiger. Speaking on the release of the first film, Shaaz Jung, said, "Life is a safari and utilising ecotourism as an integral tool for conservation has always been my priority. We created The Bison and BCRTI (Buffer Conflict Resolution Trust of India) to address the conflicts in our buffer regions whilst also providing vocational training and creating awareness. Helping people understand the importance of our flora and fauna is the key to saving our country and retaining India's culture and it's great that Land Rover is bringing this to the fore through 'Never Stop Discovering'.